The unfortunate situation many less privileged find themselves in Nigeria is quite pathetic. 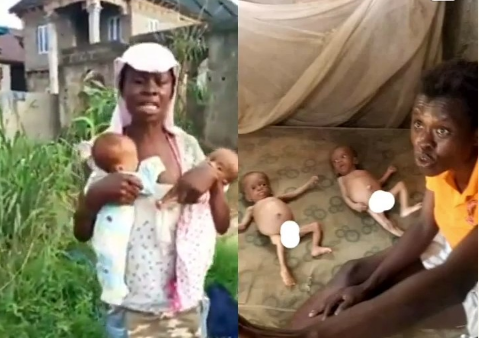 The woman pictured above who gave birth to a set of twins was spotted crying out for help and assistant after several orphanage homes rejected to take care of her malnourished babies. According to online reports, the woman is located somewhere in Egbeda, Lagos.